Arktika-M is a series of planned Russian remote-sensing and emergency communications satellites operating in an highly elliptical 12-hour orbit. The constellation of two Aktika-M satellites is designed to monitor high-latitude areas of the Earth. 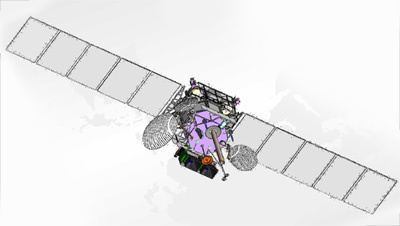 The spacecraft will be based on Lavochkin's Elektro-L meteorological satellite. The payload consists of the MSU-GSM multi-spectral imager as well as transmitters for meteorological and rescue systems. The satellites will be launched by rockets from Baikonur into highly elliptical 12-hour Molniya-type orbits. The first launch was originally planned for 2013, but has been delayed to 2019.